If a race consists of 3100 miles over the course of 52 days, with breaks for sleeping and even a haircut, can it really be considered a race? Or is it more of a running regimen? 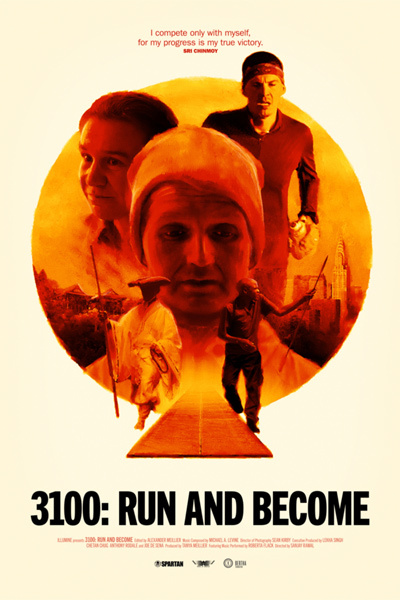 Semantics aside, this is clearly an impressive feat, and Sanjay Rawal’s documentary 3100: Run and Become tracks the story of those who have accomplished that feat at the Self-Transcendence 3100 Miler, the world’s longest certified footrace. The race is situated along a half-mile block in Queens, New York, which competitors must traverse thousands of times as they seek to average at least 60 miles per day. The film chronicles the 2016 edition, mainly focusing on Finnish paperboy Ashprihanal Aalto, an eight-time winner of the event. Along the way, the masters establish their leads by thousands of miles, while others succumb to the heat and are forced to drop out. It is incredible that the latter fate does not befall everyone, considering that they are spending practically the entirety of their waking hours going around and around. Overall, there is a Zen tone to the presentation, as the easygoing Aalto has practically been subsumed by the natural forces that move him along.